We advise homeowners, architects, builders, contractors and designers, ideally from the early stages of a project but also on finished schemes. We can help with specifications, design, pumps & plumbing, planting, water quality. Happy and healthy fish add life, colour, interest and extra movement to the pond. 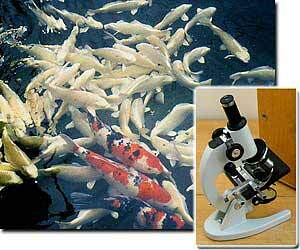 In a well balanced and well maintained pond, fish diseases are uncommon. If they do occur, prompt action will prevent the issue becoming more severe. Take a little time when looking at your pond or feeding fish, and you’ll become aware of the typical behaviour of your fish. This is very useful, as you will be more likely to notice any unusual behaviour, and be rapidly alerted to possible issues. Water quality problems are often at the root of fish health and other pond issues. 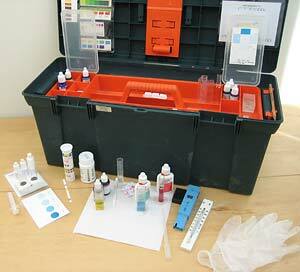 We can carry out a ten-point on-site water test to highlight any specific items and help recommend the best way forward. On-site microscopic examination of fish mucus can also pinpoint common parasites and ensure that appropriate treatments are used. Water Garden Solutions’ Principal, is a popular lecturer giving illustrated presentations on water gardening and related technical topics. 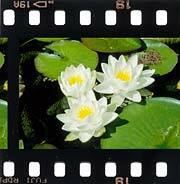 Past audiences include The Royal Horticultural Society, The English Gardening School, and The International Waterlily and Water Gardening Society, alongside numerous local gardening groups. See the Lectures page on our desktop site for further details or use the Contact Us link below to discuss possible future lecturing engagements.